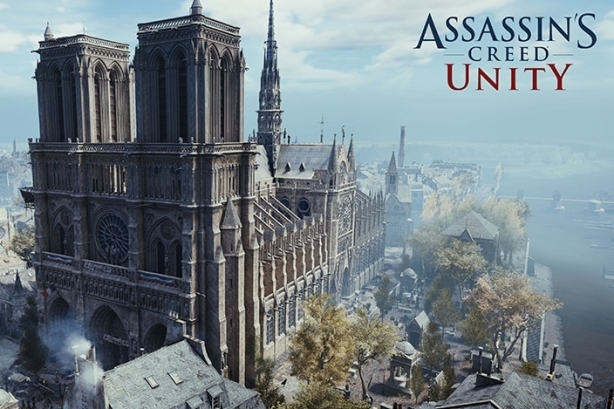 Video game publisher Ubisoft is donating to the Notre Dame Cathedral and allowing fans to play its "Assassin’s Creed Unity" game for free, after the game unexpectedly found itself at the center of the conversation around rebuilding efforts for the historical Paris landmark. Outlets including CBS, Yahoo, The Washington Post, and the New York Post reported on Tuesday that Ubisoft’s 2014 video game "Assassin’s Creed Unity" could hold the key to rebuilding Notre Dame after its devastating fire on Monday. The game, set in Paris during the French Revolution, features a realistic 3D model of the cathedral by artist Caroline Miousse. Ubisoft explained in a tweet that it is not involved in the reconstruction, but is "more than happy to lend [its] expertise." We are not currently involved in the reconstruction, but we'd of course be more than happy to lend our expertise in any way we can! ?? An Ubisoft representative was not immediately available for comment. Another gaming company, online virtual world Second Life, tweeted that its users are showing support by visiting an "inworld replica" of the cathedral.